A reasoned explanation of known facts or phenomena that serves as a basis of investigation by which to seek the truth. clonal deletion theory a theory of immunologic self-tolerance according to which “forbidden clones” of immunocytes, those reactive with self antigens, are eliminated on contact with antigen during fetal life. clonal selection theory there are several million clones of antibody-producing cells in each adult, each programmed to make an antibody of a single specificity and carrying cell-surface receptors for specific antigens; exposure to antigen induces cells with receptors for that antigen to proliferate and produce large quantities of specific antibody. information theory a system for analyzing, chiefly by statistical methods, the characteristics of communicated messages and the systems that encode, transmit, distort, receive, and decode them. overflow theory one similar to the underfilling theory but which proposes that the primary event in ascites formation is sodium and water retention with portal hypertension resulting; plasma volume expansion to the point of overflow from the hepatic sinusoids then causes ascites formation. quantum theory radiation and absorption of energy occur in quantities (quanta) which vary in size with the frequency of the radiation. recapitulation theory ontogeny recapitulates phylogeny, i.e., an organism in the course of its development goes through the same successive stages (in abbreviated form) as did the species in its evolutionary development. underfilling theory a theory that ascites associated with portal hypertension causes hypovolemia and so both a lowering of portal pressure and retention of sodium and water. The higher sodium concentration causes increases in the plasma volume and portal pressure, and the subsequent formation of ascites renews the cycle. Young-Helmholtz theory color vision depends on three sets of retinal receptors, corresponding to the colors red, green, and violet. an abstract statement formulated to predict, explain, or describe the relationships among concepts, constructs, or events. Theory is developed and tested by observation and research supplying factual data. A reasoned explanation of known facts or phenomena that serves as a basis of investigation by which to reach the truth. n 1., a belief that explains phenomena and provides a certain course of action. 2., an explanation of phenomena; supported by repeated observation and experimentation. n umbrella term for many contemporary energy theories. n the idea that rhythms within the body harmonize with one another. In cranial manipulation, this applies to signals that influence one another—often the stronger coaxing the weaker into its cadence—to create the cranial rhythmic impulse. Cranial treatments can be equated with the stronger signal, which can pull weaker signals into more healthy rhythms. See also cranial rhythmic impulse. n in traditional Chinese medicine, a complex theory of five phases—wood, fire, earth, metal, and water—that are connected to the organs of the body. Treatments can be determined by the interaction of the phases. 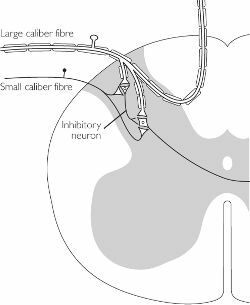 n hypothesis that describes a pain gate-control theory that postulates a control “gate,” through which afferent nerve impulses pass. In theory, pain impulses can be blocked at the “gate” by delivering pressure through rubbing, massage, or other stimulation. n a method of qualitative research in which valid theories that match experiential data and are derived from localized practices are developed by interviewing and observing research subjects. n a theory that the structure of water-alcohol solutions used in homeopathy is changed by the remedy during dilution and succussion and that the changed structure is maintained even after the chemical aspects of the remedy have been diluted away. n in psychology, a theory postulating that human relations are foundational and primary for the development of an individual's personality and are the principle influence for later relations with others. Psychologic philosophy that holds that human self-structure is internalized during childhood through the process of relating to people and treasured objects; these experiences create a blueprint for forming and maintaining subsequent relationships. Psychopathology is the term used in object relations practice to describe expressions of negative self-object experiences from childhood that are being reenacted and worked out in the patient's current relationships. Psychotherapy is the proposed path for resolution of self-defeating relational patterns so that patients may mature and eventually self-actualize. n a theory of pain control used to explain the analgesic effects of acupressure and acupuncture. 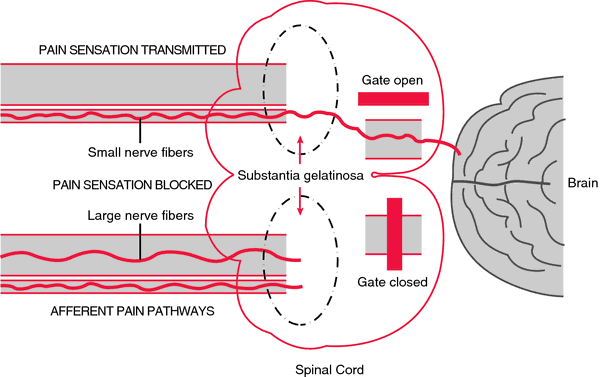 Stimulation of sensory nerve fibers closes the “pain gates,” thereby inhibiting transmission of pain signals from afferent neurons to the brain. n a set of beliefs, according to which each individual forms hypotheses about the world, tests these theories against the reality of his or her own experiences and modifies them as necessary. n in aromatherapy, theory that states that odors considered pleasant by a patient will allow the person to feel happier and positive and perform tasks in an efficient manner. n theory of the sliding movements of muscle fibers to shorten or lengthen a muscle. lock and key theory of odors. n a model of medical care that attempts to take the myriad complex parts of health care and integrate them into a sum greater than its components. Each subsystem in this model is complete in itself while having a place in the larger system. n in Tibetan medicine, the three functions of the mind—chi, schara, and badahan—a practitioner uses to establish the patient's psychosomatic type and to diagnose, treat, and prevent a medical condition. See also chi, schara, and badahan. n a modifi-cation of quantum theory; postulates the resistance of macro-entanglement that involves consciousness and that may account for anomalous, transpersonal, and healing phenomena. An explanation of the manner in which a phenomenon occurs, has occurred, or will occur. Bielschowsky's theory See theories of strabismus. biological-statistical theory Theory of the development of refractive errors, based on the way in which the refractive components of the eye combine. It postulates a high correlation between the normally distributed refractive components to produce emmetropia. A breakdown of this correlation leads to ametropia. This theory depends essentially on hereditary factors. See gene-environment interaction; myopia control; physiological myopia; emmetropization theory; use-abuse theory. Chavasse's theory See theories of strabismus. corpuscular theory See Newton's theory. Donders' theory See theories of strabismus. Duane's theory See theories of strabismus. duplicity theory The theory that vision is mediated by two independent photoreceptor systems in the retina: diurnal or photopic vision through the cones when the eyes see details and colours; and nocturnal or scotopic vision through the rods when the eyes see at very low levels of luminance. It can be illustrated when establishing a dark adaptation curve (sensitivity as a function of time), which is preceded by a bright pre-adaptation stimulus. The curve typically has two branches: and initial increase in sensitivity (i.e. lower light threshold) followed by a plateau, due to cone adaptation; then another increase in sensitivity followed by a plateau due to rod adaptation. See photochromatic interval; Purkinje shift; two visual systems theory; photopic vision; scotopic vision. emission theory See Newton's theory. emmetropization theory A theory that explains the phenomenon of emmetropization on a biofeedback mechanism, involving cortical and subcortical control of the various components of the eye that contribute to its refractive power. empiricist theory Theory that certain aspects of behaviour, perception, development of ametropia, etc. depend on environmental experience and learning, and are not inherited. See empiricism; nativist theory. Fincham's theory Theory of accommodation which attributes the increased convexity of the front surface of the crystalline lens, when accommodating, to the elasticity of the capsule and to the fact that it is thinner in the pupillary area than near the periphery of the lens. See capsule; Helmholtz's of accommodation theory. first order theory See gaussian theory. gaussian theory The theory that for tracing paraxial rays through an optical system, that system can be considered as having six cardinal planes: two principal planes, two nodal planes and two focal planes. The mathematical analysis can be carried out by the paraxial equation. Syn. first order theory; paraxial theory. See Newton's formula; paraxial optics; fundamental paraxial equation; paraxial ray. von Graefe's theory See theories of strabismus. Helmholtz's theory of accommodation The theory that in accommodation the ciliary muscle contracts, relaxing the tension on the zonule of Zinn while the shape of the crystalline lens changes, resulting in increased convexity, especially of the anterior surface. Fincham's theory complements that of Helmholtz. See accommodation; Fincham's theory; zonule of Zinn. Helmholtz's theory of colour vision See Young-Helmholtz theory. Hering's theory of colour vision Theory that colour vision results from the action of three independent mechanisms, each of which is made up of a mutually antagonistic pair of colour sensations: red-green, yellow-blue and white-black. The latter pair is supposed to be responsible for the brightness aspect of the sensation, whereas the former two would be responsible for the coloured aspect of the sensation. Syn. opponent-process theory; tetrachromatic theory. See colour-opponent cells; Young-Helmholtz theory. van der Hoeve's theory See theories of strabismus. Huygen's theory See wave theory. Landolt's theory See theories of strabismus. lattice theory See Maurice's theory. Luneburg's theory A theory according to which the geometry of the visual space is described by a variable non-euclidean hyperbolic metric. Mackenzie's theory See theories of strabismus. Maurice's theory Theory that explains the transparency of the stroma of the cornea. It states that the stromal fibrils, which have a refractive index of about 1.55 in the dry state, are so arranged as to behave as a series of diffraction gratings permitting transmission through the liquid ground substance (refractive index 1.34). The fibrils are the grating elements that are arranged in a hexagonal lattice pattern of equal spacing and with the fibril interval being less than the wavelength of light. The diffraction gratings eliminate scattered light by destructive interference, except for the normally incident light rays. Light beams that are not normal to the cornea are also transmitted to the oblique lattice plane. However, recent work has demonstrated inconsistencies in lattice space and there is some modification to the original postulate of this theory. Syn. lattice theory. nativist theory Theory that certain aspects of behaviour, perception, development of ametropia, etc. are inherited and independent of environmental experience. See gene-environment interaction; nativism; empiricist theory. Newton's theory The theory that light consists of minute particles radiated from a light source at a very high velocity. Syn. corpuscular theory; emission theory. See quantum theory; wave theory. Nordlow's theory See theories of strabismus. opponent-colour theory See Hering's of colour vision theory. paraxial theory See gaussian theory. Parinaud's theory See theories of strabismus. Planck's theory See quantum theory. quantum theory Theory that radiant energy consists of intermittent and spasmodic, minute indivisible amounts called quanta (or photons). This is a somewhat modern version of the theory originally proposed by Newton. Syn. Planck's theory. See photon; Newton's theory; wave theory. Scobee's theory See theories of strabismus. theory of strabismus See theories of strabismus. three-component theory See Young- Helmholtz theory. trichromatic theory See Young-Helmholtz theory. two visual systems theory The theory that there are two distinct modes of processing visual information: one pertaining to the identification (or 'what' system) and the other to localization (or 'where' system) of visual stimuli. The identification mode is concerned with resolution and pattern vision, and is associated with the foveal and parafoveal regions of the retina. It is subserved by primary cortical mechanisms. The localization mode is concerned with motion and orientation and is subserved by midbrain visual structures. See magnocellular visual system; parvocellular visual system; duplicity theory. use-abuse theory Theory that attributes the onset of myopia to an adaptation to the use or misuse of the eyes in prolonged close work with the concomitant lag of accommodation and hyperopic defocus. Environmental factors would be the main cause of myopia. See myopia control; biological-statistical theory. wave theory Theory that light is propagated as continuous waves. This theory was quantified by the Maxwell equations. The wave theory of light can satisfactorily account for the observed facts of reflection, refraction, interference, diffraction and polarization. However, the interchange of energy between radiation and matter, absorption and the photoelectric effect are explained by the quantum theory. Both the wave and quantum theories of light were combined by the concept of quantum mechanics, and light is now considered to consist of quanta travelling in a manner that can be described by a waveform. Syn. Huygens' theory. See photon; quantum theory; wavelength. Worth's theory See theories of strabismus. Young-Helmholtz theory The theory that colour vision is due to a combination of the responses of three independent types of retinal receptors whose maximum sensitivities are situated in the blue, green and red regions of the visible spectrum. This theory has been shown to be correct, except that the pigment in the third receptor has a maximum sensitivity in the yellow and not in the red region of the spectrum. Hering's theory of colour vision, which explains phenomena at a level higher than that of the cone receptors, complements this theory. Syn. Helmholtz's theory of colour vision; three components theory; trichromatic theory. See visual pigment; Hering's of colour vision theory. Reasoned explanation of known facts or phenomena that serves as a basis of investigation by which to seek truth. n an opinion or hypothesis not based on actual knowledge. n the theory of W. H. Sheldon, suggesting that body structure is correlated with certain temperaments and predisposes to mental disorders. Q. I know I’m supposed to drink 8-10 cups of water a day – but I feel it’s too much for me. I try to drink 8 cups a day but I just can’t continue with it long, I just find myself going to the bathroom every 30 minutes. Any idea? A. when people thought of this genius theory of drinking 10 cups a day they didn’t take in consideration the amount of water we get from our food, the idea that people working construction need more then 8 cups, that people that work in an air conditioned office and don’t tend to move around too much don’t perspire as well as construction workers. They just took the average data- we loose this amount of water, so we need to replace it. You should listen to your body and not to wise guys. Quantum theory has many strange features compared to classical theory," Richens told Phys. Second, we identify trends in LSCM theory utilization. Theory in a study can be stated clearly or it can be implied (Bond et al. The standard model has many such parameters that are derived from experiment but not logically required by the theory itself. Emphasis: Chamber music, private lessons, technique, repertoire, theory, workshops, composition premieres and master classes. In daily life, a theory can refer to anything from a decent guess to a silly fantasy. For example, you have string theory in physics and cosmology and you have quantum mechanics. Gagne's theory (1985) focuses on learning as a theoretical framework, and his theory can be integrated just by relating to the level of learning that each learner's skills have been pre-identified internally and externally. The "Journal of Fixed Point Theory and Application," also to be published quarterly, will publish research papers in all disciplines in which the tools of the fixed point theory play an important role. The Legal Theory of communication stresses limitation of legal exposure, as if every act of communication was destined for litigation. We have been presented with a wealth of evidence which reveals that the District's purpose was to advance creationism, an inherently religious view, both by introducing it directly under the label ID and by disparaging the scientific theory of evolution, so that creationism would gain credence by default as the only apparent alternative to evolution.